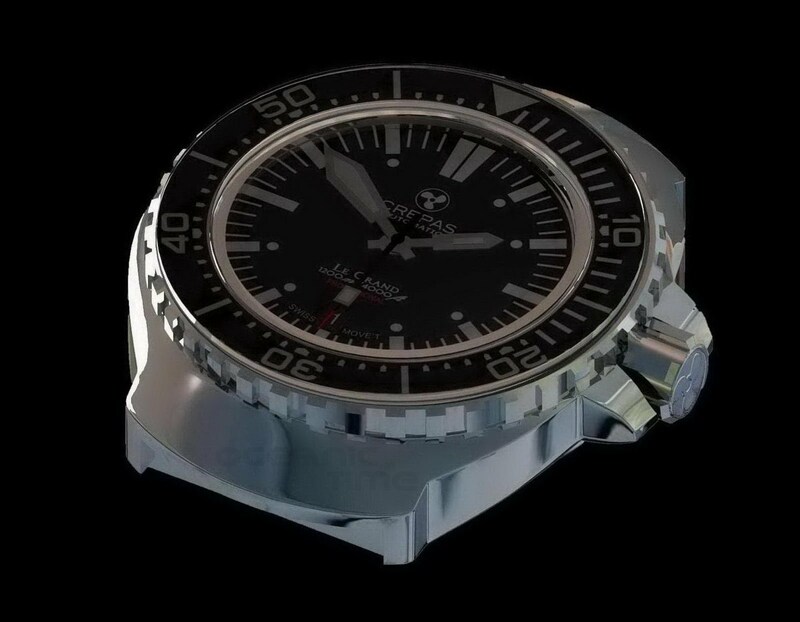 By TLex CREPAS (Compañía Relojera Especializada Para Actividades Subacuáticas) are a new boutique dive watch company from Malaga in the south of Spain. 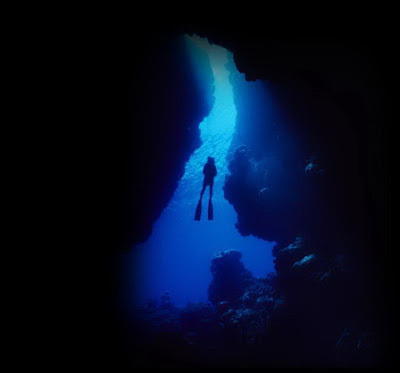 The company has emerged as many other boutique dive watch companies have from a love of scuba diving and a passion for dive watches. CREPAS' mission - to produce dive watches that have a strong feel for the past - drawing inspiration from dive watch classics, but with a firm footing in the present - where they make use of the very latest technologies available. 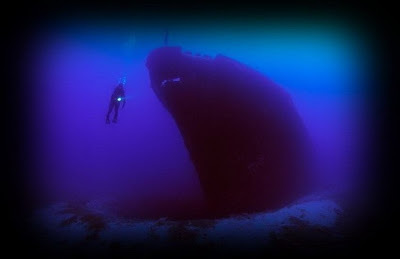 It is this philosophy that has lead them to their first divers model, the Le Grand. Neither copy nor homage, but an evolution of Omega’s Seamaster 1000m, and the watch CREPAS believe Omega would produce today should they decide on a reissue of the SM1000m as they did with the Ploprof. Its name 'Le Grand' a nod to the original SM1000m, which is often referred to affectionately as 'The Grand'. The Le Grand’s case design certainly recalls the SM1000m, but has a new design with a new crown, crown guard, caseback and bezel. The case itself, 43mm x 17.20mm of 316L Surgical grade stainless steel has both polished and brushed surfaces; its left lateral side sports an HEV and its water-resistance, 1200meters or 4’000feet. The bezel is a 120 click, unidirectional divers bezel with a sapphire crystal insert. The dial and hands have been coated with retro C3 Swiss SuperLumiNova. And, the engine that will run the Le Grand the ETA 2824-2 automatic with 40hrs of power reserve. The watch will come fitted with 22mm mesh bracelet with a divers extension and double locking clasp; it will be supplied with a rubbers divers strap and presented in a durable plastic case. CREPAS are offering a special promotional price of 849USD for the first 50 watches pre-ordered, there after its price will be 1249USD. Only 100 pieces will be produced in black. 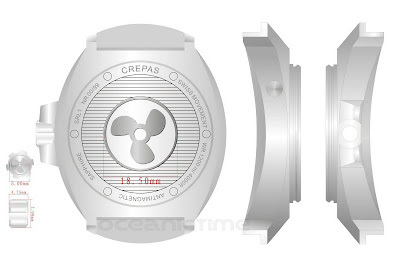 For further details on the watch and its background, and how to pre-order please click on the CREPAS icon at the bottom of the post . . .
From CREPAS A new watch company has entered the market. 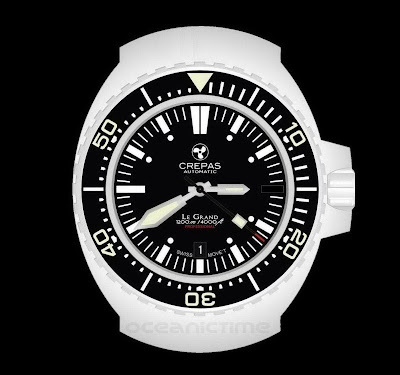 Spanish in origin and wholly Spanish owned, Crepas (Compañía Relojera Especializada Para Actividades Subacuáticas, Watch Company Specialising in Underwater Activities) has emerged to offer a top-quality product with extraordinary features. 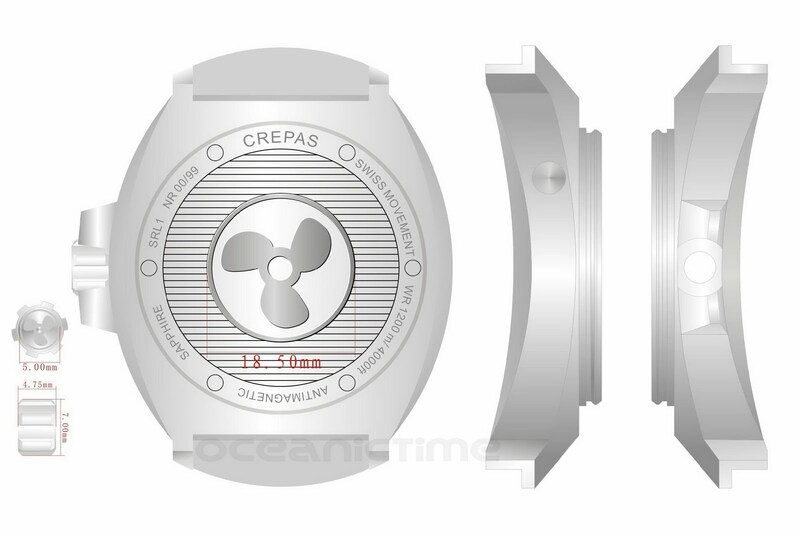 Crepas will develop, manufacture and distribute technical diving watches based on classical designs. Its first product, Le Grand, will be marketed from September 2010 through an advance booking system available on its Web site, www.crepaswatches.com, where the customer will be able to buy the watch for delivery in December 2010. In addition to its fantastic design, Le Grand is water resistant down to 1200 meters and features an automatic helium release valve and bezel insert of sapphire. The Web site gives comprehensive and detailed information about the company with the first sketches of the watch. CASE Brushed and polished 316L surgical stainless steel Ø 43 mm, height 17.20mm, lug distance 22mm. Signed screwed crown with crown-guard protection. WATER Resistance: 1,200m/4,000ft. Anti-magnetic to 70.000 A/m. Automatic Helium Release Valve. MOVEMENT 25 Jewel Swiss ETA 2824-2 automatic black date wheel - power reserve 40 hours. BEZEL Special design bezel to be operate with diver gloves. Only turn-able to left with 120 clicks. Indexes and numbers with luminous material. Bezel insert made of sapphire crystal. CRYSTAL Flat sapphire crystal 4mm thick inside AR coated. DIAL and hands coated with Swiss C3 and C1 SuperLuminova. Big minute hand. Hands with silver facets. BRACELET Comfortable 22mm mesh bracelet with wet suit extension and double locking clasp. Extra rubber strap with classic design and with wet suit extension strap. Customized plastic case with foam for transport and storage. Limited edition of 99 watches with black dial. 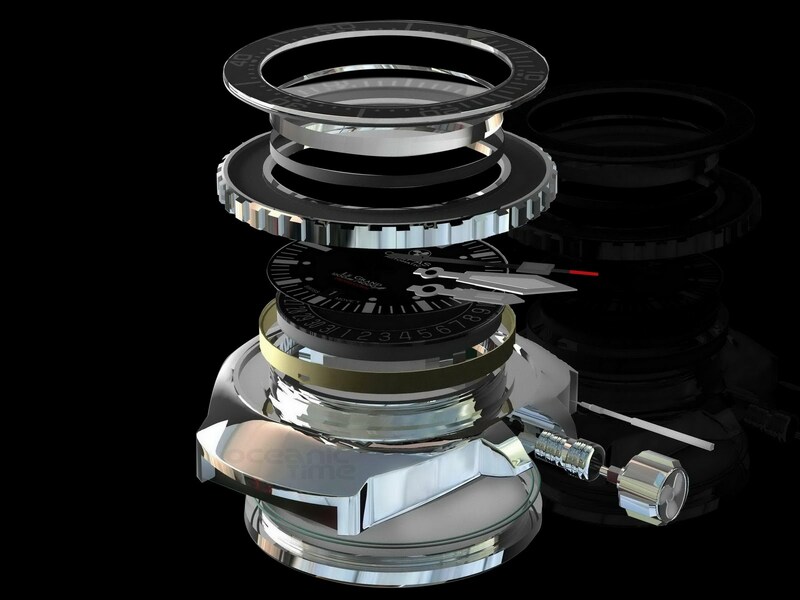 An international two-year warranty for manufacturing defects. The price is US $1249. During the reservation period (pre-order), and for the first 50 units only, the price will be US $849. This promotional price is the result of the launch of both the company and the first watch.